October | 2014 | Bobcats Blog! Strong family and community engagement is an essential element of any high performing school. Ben-Hem is fortunate to serve a community that is dedicated to the education of its young people. Year after year Ben-Hem families invest the time and energy it takes to support their children and the community at large. The Ben-Hem PTO is a driving force in focusing the efforts of parents by providing meaningful opportunities for parents to engage in and support the work of the school. Through fundraising, volunteer opportunities, enrichment programming, and community building events the PTO works tirelessly to enhance learning and opportunities for our children. The amazing work of the PTO is one piece of the family and community engagement puzzle. Parent and community feedback is another. Ben-Hem has always valued the input of parents as we have worked to improve overall school function. 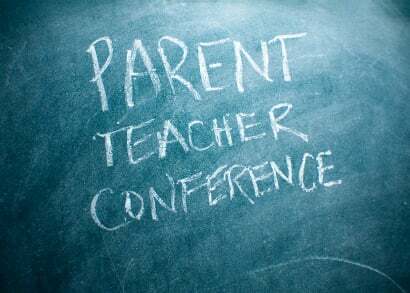 Through informal interactions, meetings with parents, parent-teacher conferences and many other avenues, we gain a great deal of information as to the perceived function and quality of our programs and practices. While these sources of data are very helpful, we want to expand opportunities for families to provide us with feedback. November 12th at 8:30 a.m.
December 11th at 4:00 p.m.
January 13th at 7:00 p.m.
February 10th at 8:30 a.m.
March 12th at 7:00 p.m.
April 14th at 4:30 p.m.
May 19th at 8:30 a.m. In addition to these listening opportunities, Mr. Kelly has also posted a quick feedback form on Ben-Hem’s web-site. This form is intended to provide parents and community members with a quick and easy opportunity to provide the school with thoughts, comments, or questions. Please take time periodically to let us know how we are doing and what we can do to improve our service to this community. In our last post we discussed the legislative origins and function of school councils. One of the primary responsibilities of the school council is to support the principal in developing an annual School Improvement Plan (SIP). The 2014 – 2015 SIP is a document that captures the current performance of the school, identifies the needs of the school, and sets goals to address those needs. The Elementary School Improvement Plan reflects our efforts towards educating the “whole” child. We recognize that developing social, emotional, and behavioral competency is equally as important as developing academic skills. Students who attend schools that support universal instruction in these areas experience higher achievement. This year will mark the first time that all of the Natick Elementary Schools will take the PARCC assessment. The PARCC is aligned to the Common Core State Standards and will measure whether students are on track towards being college and career ready. The PARCC assessment presents many new challenges in both content and administration. Across the district, our work will focus on ensuring that our curriculum, instruction, and assessment practices are aligned to these new assessments and support student growth and success. Over the past few years, Natick elementary schools have piloted mobile technologies to assess and understand their place in the elementary learning environment. These pilots have demonstrated great success and we are prepared to build on these successes during the 2014-2015 school year. Each elementary classroom (K-4) has been equipped with 5 mobile devices to support student engagement and learning. Through the pilot programs, Natick has developed teacher leaders who are prepared to lead and support their colleagues in bringing these technologies into their practice. Academics is only one part of a child’s education. It is important that out teachers focus on social, physical, and emotional development as well. This is sometimes referred to as educating the “whole child.” This year elementary faculty and staff will research mindfulness awareness practices (or MAPs) in classrooms. The goal of this research is to better understand how we can support the intrapersonal skill development that supports effective learning and development. MAPs have been shown to reduce anxiety and depression as well as help children develop critical executive functioning skills such as emotional regulation, behavioral regulation, attentional control and mental flexibility. The Ben-Hem faculty and staff are dedicated and incredibly skilled professionals. 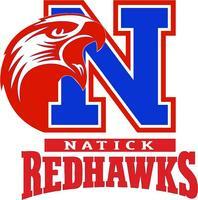 Within these individuals Natick holds a tremendous accumulation of human capital. These individuals are eager to engage in lifelong growth and to support one another in that cycle of continuous improvement. Unfortunately, the rapid increase of state/federal mandates and test driven accountability mechanisms creates a situation in which these individuals work and learn under greater stress and isolation. As such, there is little opportunity to grow the teamwork and collaborative decision making that supports the continued enhancement of Natick’s human capital investment. This year Ben-Hem will focus on enhancing the overall efficacy of the school by leveraging the skills, interests, and needs of staff to foster professional learning, growth, and team work. Ben-Hem is now in its fifth year of implementing Data Teams. Data teams are one of the foundational elements of successful educational programming. Over the years, universal screening, data team, and intervention programming systems and structures have grown and evolved. These structures have been successful, however, Ben-Hem can do better in supporting faculty to make informed diagnostic and instructional decisions for students. To that end, the Ben-Hem team will continue to refine data team systems and structures to enhance learning opportunities for our students. Elementary Presentation to the School Committee on October 6th, 2014. Public schools are complex organizations focused on ensuring equal access and opportunity to learn for all students. Our public school systems are governed by a complicated web of federal law, state law, and local school committee policies and procedures. The day to day operation of schools can seem overwhelming and confusing if you don’t know the ins and outs of how schools work. This piece is the first in an ongoing series that will provide parents and families with more information about how Ben-Hem (and public schools in general) function. In 1993 the Massachusetts legislature passed the Education Reform Act. This piece of legislation represented a monumental shift in structure and practice for public schools across the Commonwelath. Amongst other changes, the Ed Reform Act of 1993 established the requirements for statewide learning standards, a comprehensive standardized testing system and the establishment of school councils at every public school. The legislative intent behind the school council provisions was to provide school principals with support in running and managing schools as the state was providing greater decision making authority to building level administrators. The school council is a elected group of parent and faculty representatives who advise the principal on the needs of the school, school improvement planning, and school budget. Ben-Hem’s school council meets once per month between September and May. The meetings are an hour long and focus on current issues as they relate to Ben-Hem. While you have to be elected to be a participating member of the school council, all are welcome to attend and hear more about the bigger picture issues that drive our continued efforts. You can find the council’s meeting schedule, agendas, and meeting minutes on our website.